In person astrology sessions serving Miami, Fort Lauderdale and Miami Beach FL as well as local and international sessions by phone. Energy work is also available at a distance or by phone. Individual, couple, family, leadership and corporate coaching and intervention. Addressing coherence in life direction, career and interpersonal relationships. Coaching for artists, performers and media presenters. In person and on site group and corporate sessions and workshops in Miami, Miami Beach FL, and by phone. Contact us to arrange a complimentary meeting. At Powerful Light TM, we welcome the opportunity to help you advance in your life, career or business. Astrologer, author and shamanic practitioner, Roman Oleh Yaworsky offers to his Miami and Fort Lauderdale clients a new approach to astrology and astrology counseling that supports healing, transformation and growth from the standpoint of the spirit and soul. Unlike conventional astrology, Roman Oleh Yaworsky has pioneered an approach that takes astrology back to its spiritual and yogic roots - a true and decisive aid in supporting the evolution of the spirit and soul. 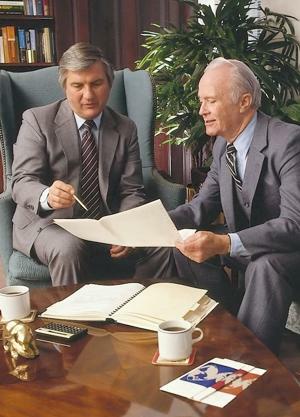 It is based on years of pioneering research and in depth sessions with clients for over two decades. What astrologer Roman Oleh Yaworsky has uncovered are the roots of astrology, the fundamental principles that link it directly to yogic practice and the evolution of the soul. It is spiritual astrology in its true context. Roman is currently in the process of authoring several books on Astrology. He also teaches classes and workshops on astrology in the Miami, and Miami Beach area. 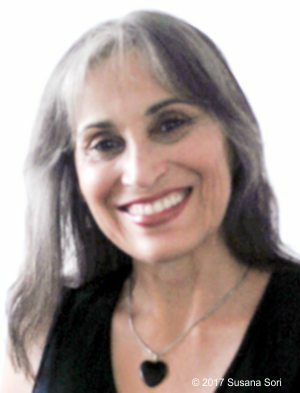 Master Shamanic Practitioner and Life Coach, and agent of personal transformation, Susana Sori has helped thousands of clients move forward through her warm heart, courage and steadfast resolve. Susana Sori offers you a healing environment that is positive, supportive, direct, comfortable and confidential. Her focus is to free her clients from the obstacles and issues that hold them back, supporting a client’s positive shift at the physical, energetic, soul or spiritual level. Susana Sori has a worldwide practice, offering profound transformational support through energy medicine, shamanic healing and life coaching to clients via individual, couple and group sessions...by phone and by proxy. Her clients are from such various areas as North, Central and South America, Canada, Europe and China. In Susana's words: "I keep you on track towards your destiny! I welcome the opportunity to support you in the continuing journey that opens up more possibilities for your growth and greatness." 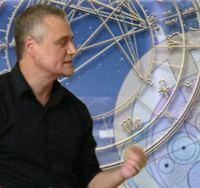 Astrologer and author, Roman Oleh Yaworsky offers to his Miami and Fort Lauderdale clients a new approach to astrology and astrology counseling that supports healing, transformation and growth from the standpoint of the spirit and soul. A Powerful Light Astrology natal reading offered by Roman goes to far greater depth than a typical astrological consultation or reading. It is a healing journey to reconnect to your true nature and promise. Astrologer Roman Oleh Yaworsky offers fundamental and practical steps to regain that promise, to regain your destiny. 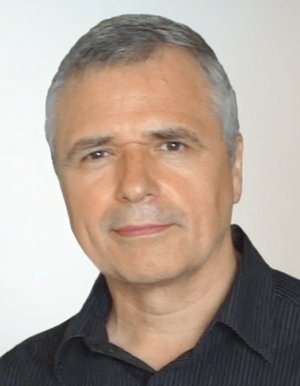 Using the innovative approaches and principles that he wrote about in Being Centered, Roman lays the groundwork for practical, fundamental and realizable positive changes for his astrology clients. Complimenting Natal Astrology sessions with Roman is the Powerful Light TM Natal Report, a comprehensive in-depth report of the main themes in a client's natal astrology chart. This report, written and designed by Roman is unique in that it explores and identifies the where, how and why a client tends to give away joy, personal power and responsibility and where and how they can regain it. It was written so that astrology clients would have a hard copy comprehensive resource and record of their reading in addition to their audio recording. This personalized report offers them insights and solutions in how to reconnect to their core once again. Currently available only to clients. Approximately. 40 pages. A recording of sessions onto CDs is complimentary. Powerful Light Energy Medicine brings together the Shamanic arts from the Inca tradition of the High Andes, the healing practices from the traditions of yoga and the transformative spirit and soul work of the west. The healing staff at Powerful Light have extensive training in the Resonance Repatterning® System of Healing and Transformation. Using advanced kinesiology and modalities to tune to a client's field, this system reveals the nature and means to shift and release past disharmonious experiences. 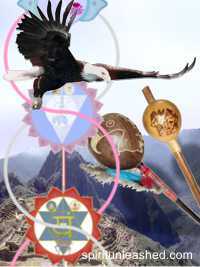 The Shamanic arts take healing to the level of Spirit. Among our offerings are Soul Retrieval, Chakra Clearing, Rites, Ceremonies, and Destiny Retrieval. Both practitioners also have an extensive background in Spiritual Counseling and Coaching, and spiritual awakening support. Additionally, Susana offers years of experience as a Hatha Yoga teacher trainer, supporting the energetics of breath work and movement. Experience these healing methods as effectively practiced with the lightheartedness and shamanic understanding that both Susana Sori and Roman Oleh Yaworsky bring to their clients. Our approach to coaching is unique and very cost effective for our clients. We are results-oriented, and focus on what holds you back first. Our sessions last about two hours to reach the main issues from the very beginning. As a result, many clients achieve a profound shift after only one meeting. For those that need extended support because they are moving through addictions or significant legal, medical or relationship issues, we do offer monthly programs with extended and more timely assistance. Our extensive background in yoga and Shamanic healing gives us the experience and practical approaches to support clients undergoing spiritual awakening issues. Both Susana and Roman draw on their strong background in management, bringing years of experience in resolving executive and corporate dynamics issues. Because of our foundation in energy healing, we can address personal and family concerns that may interfere with job performance. Being Centered - The must have book to support your healing process! How did we lose our authentic self, our connection to our core? And how do we reconnect to our core and our heart and return to our power and aliveness? In a series of revealing and penetrating chapters, the author traces the choices we make to give away our uniqueness, our joy and our power. Being Centered focuses on the practical steps that take us back to our center, to who we are meant to be. It provides unique insights and proven practical solutions to make real changes. It has been called the best life coach in book form. Each succeeding chapter show a different path, a different approach back to our truer nature. Please note that temporarily, it is only available as an e-book on Amazon, until new stock arrives. Copies are still available directly from SpiritUnleashed. "It's a life coach in a book . . ."
"This is the BEST book on self healing I have ever come across! It should be on everybody's desk." ""It explained things no other book has ever touched on." "The chapter that defines the differences between feelings and emotions - BRILLIANT! It as changed the way I approach people." "Fantastic book! Thank you. Thank you. Thank you! " We are proud to offer a series of courses and workshops that support your growth and becoming. They include original insights and practical tools. In addition to South Florida, we have also presented recent workshops in Boston, Toronto and Tallahassee. If you are interested in a workshop in your area, or to be informed of upcoming courses and events, you are welcomed to contact us or receive our emails. You are also welcomed to sponsor a workshop in your home or in your area, if you can gather a minimum number of participants. Astrology has always been a spiritual Science: A means to show the path of reconnecting to your Spirit and Core. In this 5 week workshop series, Astrologer Roman Oleh Yaworsky will reveal the the keys to understanding your own sign, your healing journey and the path of transformation of the people around you. This course lays the foundation of the meanings of the signs, planets, Chiron, the North Node, Ascendant, Midheaven and houses. It is a very practical introduction to using the gifts of astrology in your life, and to provide insights that you can use to improve your life and your relationships. This 5 week workshop series continues from Part 1 and introduces the aspects, the dynamics of astrology and the basis for prediction. The aspects are the great contribution of modern astrology. The resonant relationships between the planets and significant points in an astrology chart reveal the tendencies, patterns, gifts and challenges through which we engage the world around us. It is also where the keys to regaining the promise of the chart are hidden and waiting to be discovered. This workshop series also introduces several simple and practical ways to use astrology as a predictive system. This 2 day workshop introduces participants to a practical understanding of the human energy field, the way we interact with others at many levels, and the ways we can learn to maintain and protect our good energy. This is an especially vital workshop for those in the healing and supportive professions. This 2 1/2 day workshop intensive takes you through a deeper experiential understanding of the key moments of your life and of those around you. We often have expressions for these times of great shift or challenge. This workshop gives you the insights take advantage of what these times really can mean for you. The Nature and Influence of the Chakras TM is a solid foundation from which to understand the energetic dynamics of the subtle anatomy. This workshops explores both chakra systems: The inner Chakras that people are more familiar with as part of the spiritual journey, and the outer Chakras that influence our everyday interactions with others and that are the key to our greater healing. This is both an in-depth presentation of the Chakras from both a spiritual and healing perspective, and a practical emersion in how to access these places of inner knowing and transformation. Free Your Destiny TM addresses the fundamental understanding and means available to free our bodies, energy, soul and spirit from the traps of fate. It is especially vital for those working with people in the healing professions. It offers a practical approach for staying centered and healthy around your clients. All Text and graphics are Copyright © 2004 - 2019 by Roman Oleh Yaworsky. All rights reserved. Any unauthorized use by whatever means is prohibited.